This collection includes four rarely seen Pennies that have long since disappeared from circulation. The Indian Head Penny is one of America’s most beloved coins. First made in 1859, it depicts Liberty dressed as a Native American in a feathered headdress. The design is a symbol of America’s westward expansion and the “Wild West,” as well as a moving tribute to Native Americans in U.S. history. 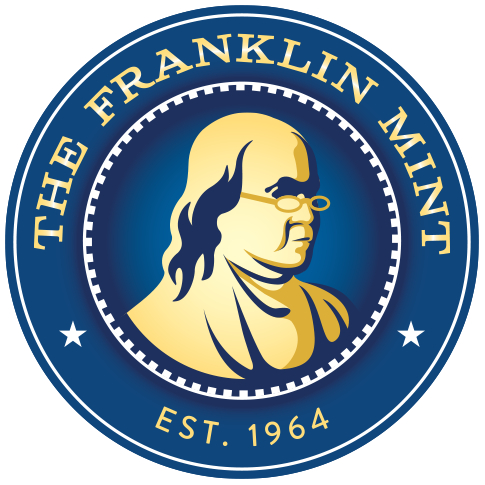 The reverse depicts an oak wreath and the Union shield – symbols of military strength and national unity, respectively. The coin was first issued just before the start of the Civil War, so these sentiments were popular. The Indian Head Penny was made from 1859-1909, so every coin is over 100 years old. During World War II, copper was needed for war supplies, so in 1943 the U.S. Mint made Lincoln Pennies in steel instead of copper. This is the only steel coin in U.S. history, and it was made for only one year over 70 years ago. From 1944-1946, wartime Lincoln Pennies were made with copper recovered from used artillery shells that were gathered from battleships and battlefields around the world. In 1947, the regular copper coins returned, making the “shellcase” pennies a treasured piece of history. The 1943 steel and 1944-1946 shellcase Pennies feature the beloved “wheat ears” design on the reverse, as well as the classic portrait of Abraham Lincoln on the obverse. In 1959, the U.S. Mint introduced the Lincoln Memorial reverse for the Lincoln Penny to coincide with the 150th anniversary of Abraham Lincoln’s birth. The last Lincoln Memorial Penny was struck in copper over 35 years ago in 1982. Since 1982, the coins have been struck in zinc with a copper plating. 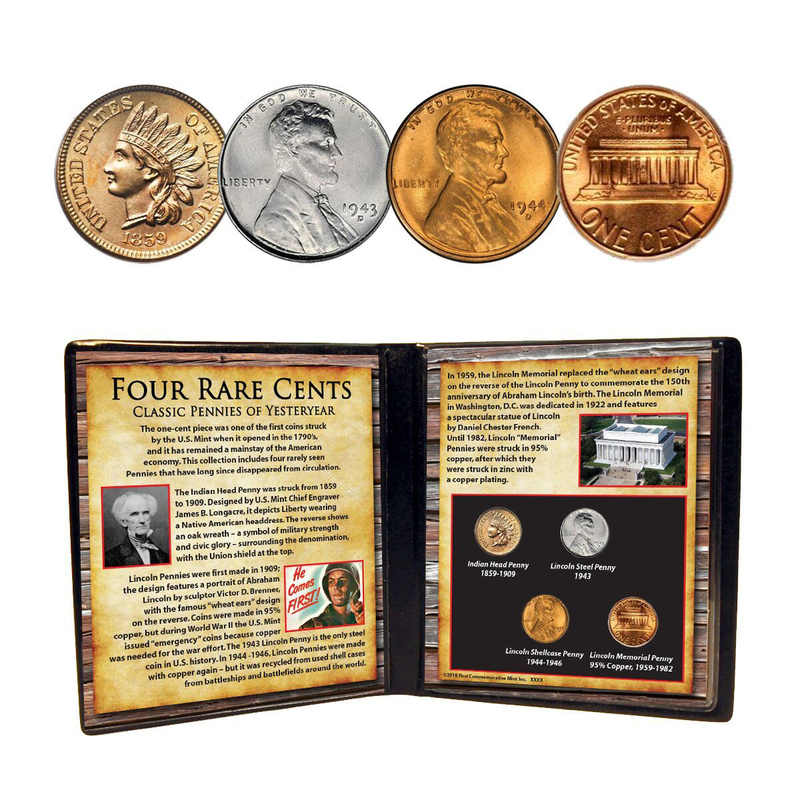 The copper Lincoln Penny is rarely seen today and completes this collection of four remarkable one-cent coins.